Liz writes: So I turned on Photo Stream on my iPhone and it’s filling up with pictures, but I read that the photos in my Photo Stream get deleted after 30 days. What’s the best way to save them before they get deleted? Hi Liz! Yes, you’re right: the pictures in your Photo Stream will be deleted from your iCloud account after 30 days, while your iPhone, iPad, or iPod Touch will only keep the latest 1,000 Photo Stream snapshots. The good news, though, is that saving your Photo Stream images forever is easy—and in some cases, it even happens automatically. 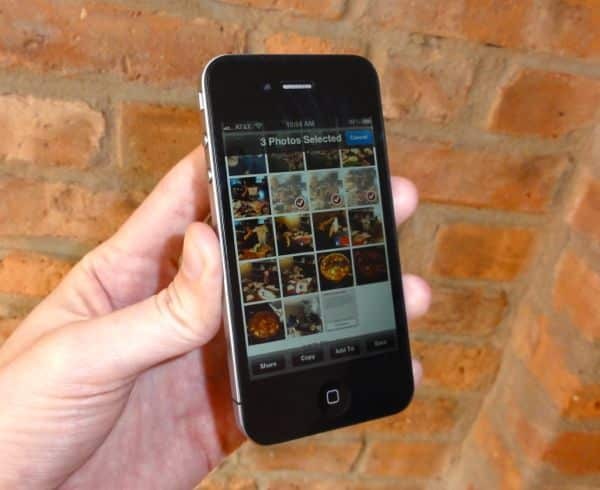 So, here’s the first thing to keep in mind: whenever you take a photo with your iPhone, iPad, or iPod Touch, your snapshot is saved not only to your Photo Stream but also to the Camera Roll—and the pictures in your Camera Roll never get delated, or at least not until you tap the “Delete” button. In other words, if you take a picture on your iPhone, it’ll stay on your iPhone until you manually delete it. Open the Photos app on your iPhone, iPad, or iPod Touch, then tap Photo Stream. See the little square with the arrow in the top-right corner of the screen? Tap it, then start tapping the photos you’d like to save on your device. When you’re finished selecting photos, tap the Save button to save them to your Camera Roll, or tap Add To to save them to a new or existing photo album. Just enable Photo Stream in iPhoto to automatically save all your Photo Stream images to your Mac. And one more thing: if you’re using Photo Stream with iPhoto on your Mac or the iCloud control panel for Windows, all your Photo Stream pictures will be saved automatically—and permanently—to your system’s hard drive. For Windows users, just download, install, and launch the free iCloud control panel, check the box next to Photo Stream, then select the directory into which you’d like your Photo Stream images to be automatically downloaded. Got more Photo Stream questions? Let me know!